This blog post is *not* sponsored by any brand. 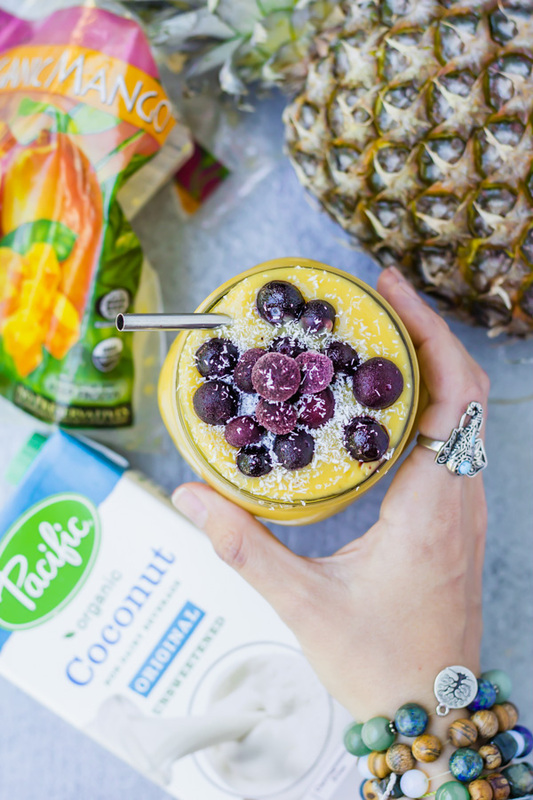 However, there is a paid partnership with Pacific Foods Dairy Free over on our Instagram platform. I recently came to the realization that I am not a breakfast person. But mostly because as I have gotten older, I spend way more time rushing out the door in the mornings than worrying about what to eat for breakfast! I've realized the only way to fix this is to either A. wake up earlier (pls tell me there's another way), or B. find incredibly easy and fast filling breakfast meals that can be made in under five minutes and don't make a huge mess. All you gotta do is throw all ingredients in a blender and blendddd away. 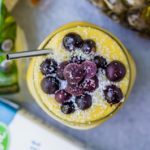 If your blender seems stuck and needs a little bit of help, just add a bit more non dairy milk or water if you prefer to help it blend easier. Pour in a cup and you're out the door! I think we can all agree on the fact that generally speaking, bright and vibrant foods just simply puts us in an entirely good mood. I mean, am I right? Is this not scientifically proven yet? It might be, I haven't done my research. But there is a reason why #acaibowls and #unicornsmoothies were a hot hit in 2017! The point is, when your food is bright and vibrant and fresh and colorful.. it sorta, kinda, tends to ya know.. make YOU bright and vibrant and HAPPY! Fiber. You need it. I need it. We all need it. But according to an article written by USCF Health, Americans consume on average 50% less than the recommended daily intake value of fiber! That's around 15g of fiber a day vs the recommended 28g to 30g range as stated by the FDA. Luckily for us, this beaut has roughly 6 to 7 grams of fiber! 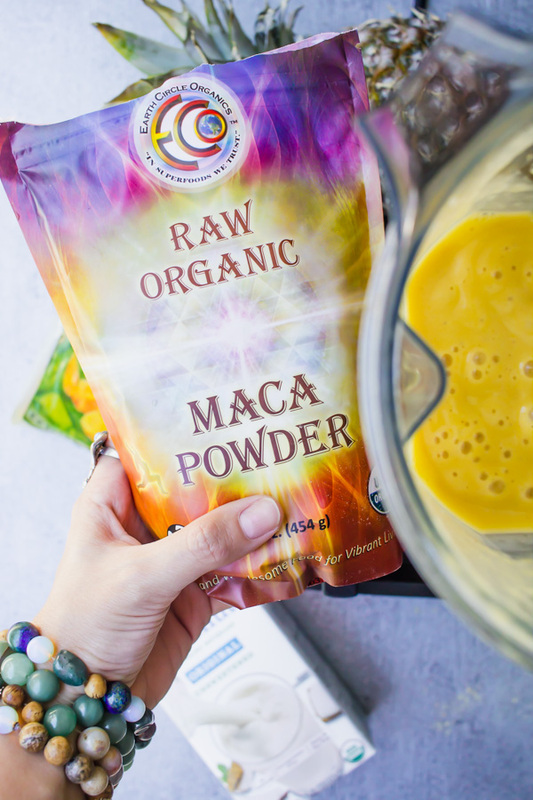 If you want to take it up a notch, go ahead and mix in 1 to 2 teaspoons of your favorite Maca Powder. The brand we use is called Earth Circle Organics Raw Organic Maca Powder (affiliate link) and we buy it directly from Amazon. I find the flavor to be pretty tasty and the price is affordable compared to other organic brands (just under $15 bucks at the time of writing this blog post). Maca is a powerful root vegetable that has amazing properties and many benefits. 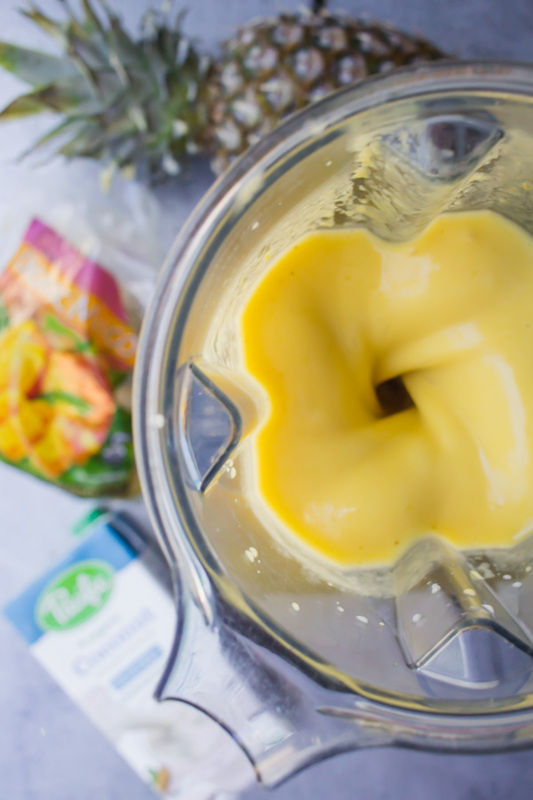 If you want to learn more about what Maca is, and why we're so in love with this little magical root vegetable, you can read this article I wrote about What is Maca And Why We Love It , by clicking on the link. Now go on and make yourself some breakfast! 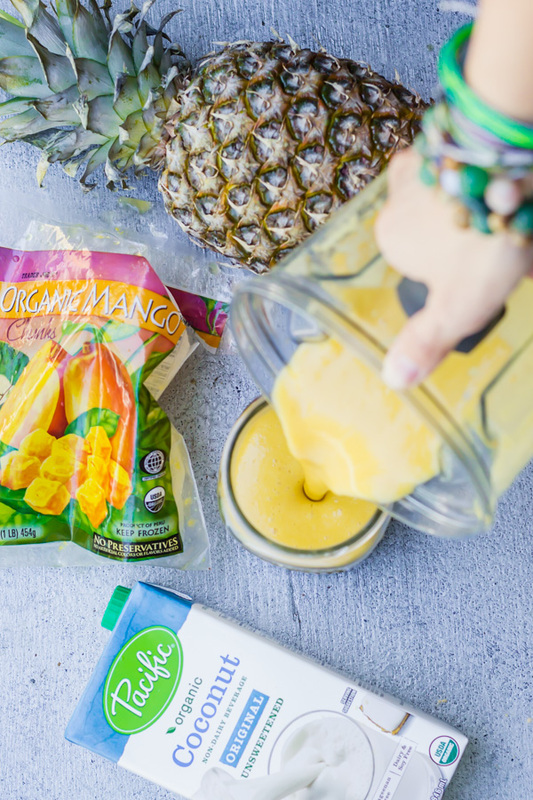 Maca-Infused Mango Pineapple Blender Smoothie – Easy, refreshing, and perfect for breakfast because of Maca’s energy boosting properties! 1 to 2 teaspoons of Maca Powder (totally optional but a great way to sneak in this powerful adaptogen into your diet). 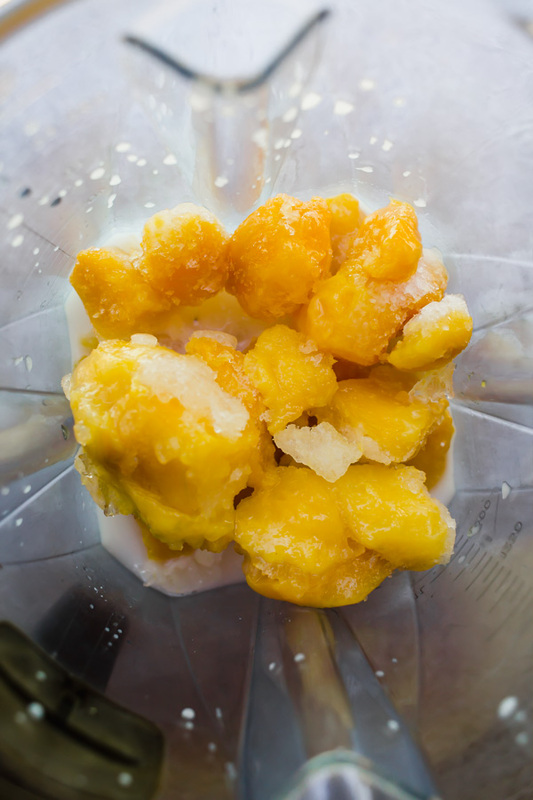 Throw all ingredients in a high speed blender and blend until you achieve a smoothie consistency. This recipe is very flexible so feel free to add more of this or take away some of that. I’m sure the end product will still be refreshing and oh so tasty! 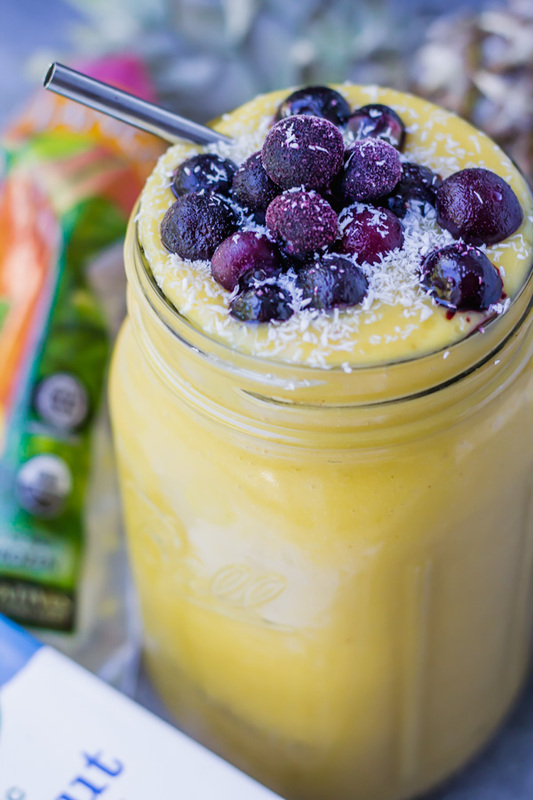 Go an extra step and top your smoothie with frozen blueberries or your choice of frozen fruits and add a sprinkle of coconut shreds! Like our vibes? Subscribe below.